I have my new Sprint iPhone 5 and I had to travel to Mexico. I obviously wanted to use my prepaid “Amigo Telcel” SIM card. Call Sprint, ask them to provide an international unlock. Some carriers will sell you an unlocked iPhone, meaning that it will work with any GSM-compatible SIM card in the world. Most won’t, they will sell you a phone that is programmed to work only on the specific carrier’s network. Some carriers will, however, unlock you iPhone. In the US case, Verizon iPhone 5 comes unlocked, AT&T will unlock it once your contract is up, and Sprint will sometimes unlock it for international use only assuming your account is in good standing and some secret set of circumstances are all fulfilled. The way they do this is unclear to me, but basically you call them, they ask you for your phone’s IMEI code, and then they do something (tell Apple to unlock it?) on their end so that your iPhone is unlocked. If you are on a different carrier, then you need to research whether that carrier will unlock your phone. The easiest way is to contact them directly. Multiple times if needed. After some indeterminate amount of time, the request Sprint places on Apple goes through. Connect your phone to your computer, open iTunes, and back it up. This takes a while, and in my case, there was no “Congratulations! Your iPhone is now unlocked.” message. I don’t know why this is. Perhaps because what I got is not a full unlock, rather an international unlock, which means I can use it with any cellphone company outside the US that has SIM cards, but not with AT&T nor T-Mobile. The lack of message made me nervous that the phone did not get unlocked. The SIM card in the iPhone 5 is smaller than the regular ones or even the iPhone 4/4S microSIM cards. 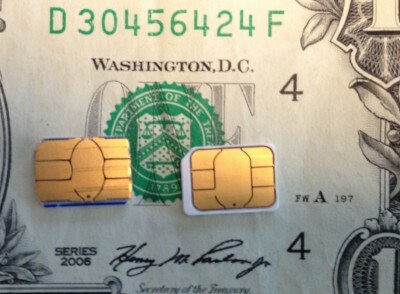 This is where you may need to get crafty and cut down your SIM card. Be careful! 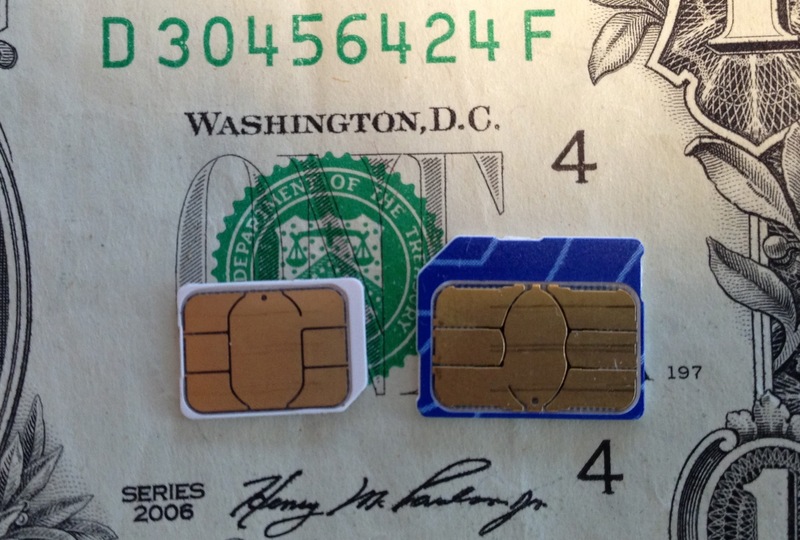 After my handy work, the former microSIM is now a nanoSIM. I was nervous about the metallic edges shorting on the aluminum iPhone 5 SIM tray, but everything worked fine. 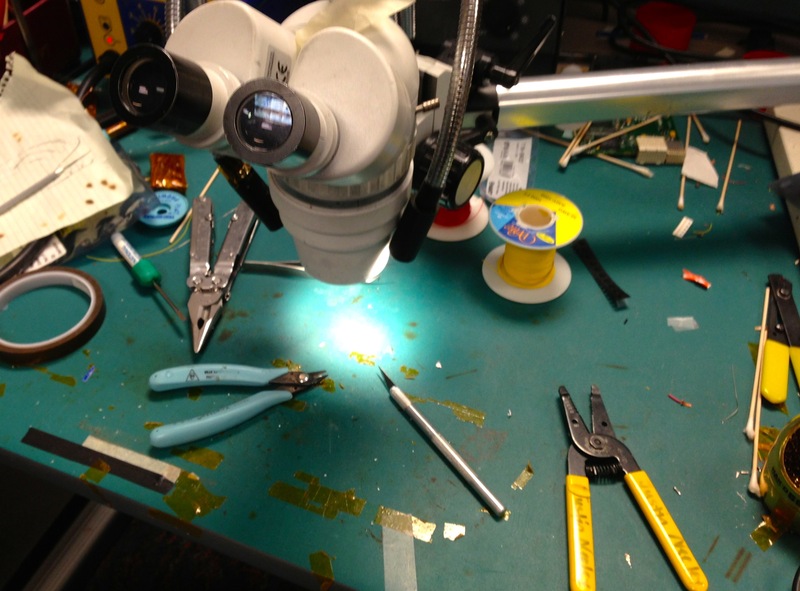 I had access to a nicely equipped soldering station for my SIM operation, microscope included. You may not be as lucky, nor as handy. Be careful! Once I arrived to Mexico, I popped in the “new” nanoSIM and it worked like a charm! Yep, that’s a real iPhone 5 screenshot taken in Monterrey, Mexico connected to Telcel. Verizon iPhone 5 came fully unlocked for some reason, and AT&T will unlock them at some point. I’d love to hear other people’s experiences. Marcos, Que quiere decir esto? Si yo quiero un iphone 5 para usarlo en Israel, que tengo que hacer? Tienes que comprarlo desbloqueado. $650 por el de 16 GB. Hola! umm.. a ver, soy medio wey en esto del iphone…..si yo compro un iphone 5 en francia con una compañìa de aquì (sosh)…. puedo desbloquearlo para usarlo en mèx. no entendì el paso nùmero 1. què es eso de llamar a Sprint.? I don’t know what Sosh/Orange’s policy is regarding iPhone unlocks. You should figure this out before committing to a long contract with them. si quieres usar un iphone 4 , 4s , 5 , que proviene de estados unidos en mexico tienes que desbloquearlo aqui en texas los desbloquean por $10 dlls , aya mucho mas barato. asi que el iphone 5 funcionaria a la misma velocidad que el iphone 4, 4s , en mexico. What was your process of getting a TELCEL sim for it? Where did you get it/how did you activate? 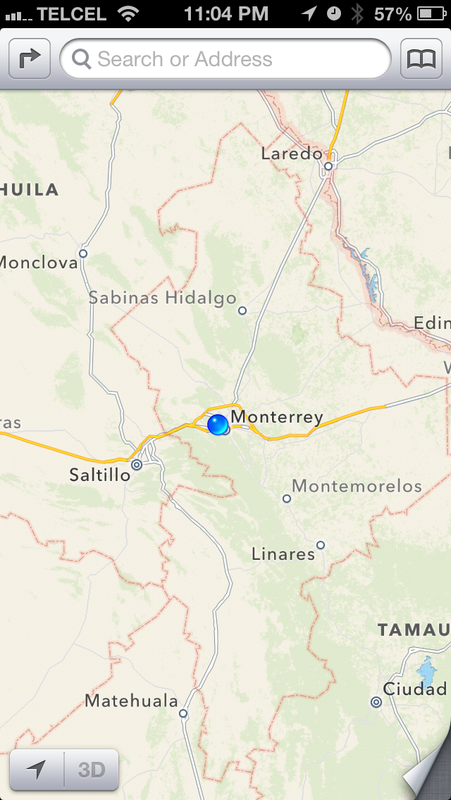 I’m in La Paz right now and I was finally able to find a telcel store with the smaller nano chip for the IPhone 5. We put the telcel chip in my phone and it says no service. Verizon tells me it’s already unlocked and telcel tells me my SIM card is activated. Anyone have any advice. Reboot the phone if you haven’t. Go in Settings and make sure Carrier Selection is set to automatic. Other than that in don’t know, it should work. If you can, verify the SIM card on someone else’s phone. Where was the store in La Paz? Were you able to use the new sim card for data? Absolutely, data works great but is GSM 3G, not LTE. I have an unlocked iPHone 5, plus a Mexican cellphone with regular SIM card in it. I went to TelCel but they can’t sell me a NANO SIM card without a new phone number if I don’t sign up for a contract. I pay as you go and want to use my AT&T pay as you go SIM in the US and then swap it out with Mx SIM card (with my existing MX cellphone number). They said they may sell them in a couple of months, after the buzz settles down. Any ideas? 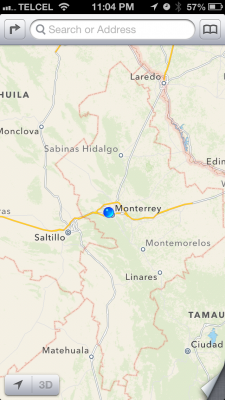 Local (small) TelCel stores don’t have them yet either. I went to the main PV TelCel office. They would have sold it to me if they had it. So I’m stuck. Didn’t realize there was a difference in size. Can’t cut it down as is big. Yes, you can definitely cut it down. I’ve done it several times. Ask around cell phone accessories stores to see if they have the special tool. If not, you can do it with an xacto knife and steady hand. If you have time and a trip to the US, just buy the SIM cutter tool from Amazon. No need to erase your phone or anything! Just swap the SIM cards. I usually do it on the plane before landing. The only thing to remember is to use your prepaid credit to buy a data package before you start using it. Otherwise using data is very expensive. That’s great! But then, what is Sprint talking about? You have to connect it to iTunes in order to get it unlocked. But once that’s done you can swap SIM cards all you want, it’s a one time thing. As a late follow up – It works!